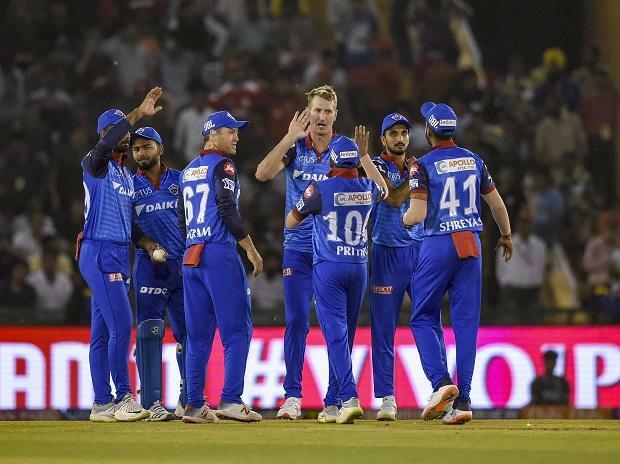 The inaugural week of the 2019 edition of the Vivo Indian Premier League (Vivo IPL) recorded a reach of 283 million viewers, which is 15 per cent higher than last year. Television viewership touched 33.1 million average impressions, registering a growth of 28 per cent over 2018. This includes viewership at home and at out-of-home locations like restaurants, sports cafés, pubs, etc. 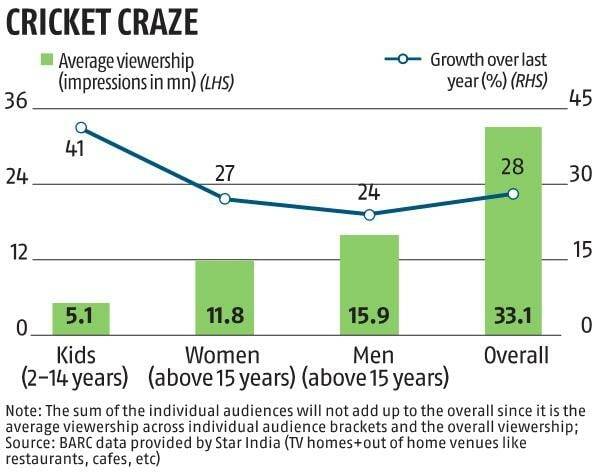 ‘Reach’ refers to the number of people who sampled the tournament in the opening week for a minute at least, while ‘viewership’ refers to the people watching the Vivo IPL at any given time in the live telecast and is measured in impressions. According to the Broadcast Audience Research Council of India data provided by broadcaster Star India, the Hindi speaking market (HSM) grew 32 per cent, while the market in the South grew 19 per cent versus last year. The HSM had seen some dip in the reach of the Vivo IPL last year. In order to address this issue, Star India has launched a number of initiatives to bring HSM viewers back to the IPL pavilion. The tournament is being broadcast in eight languages - English, Hindi, Tamil, Telugu, Kannada, Bengali, including Marathi and Malayalam on Sundays. Additionally, Star has tried to expand the appeal of the tournament by inviting kids and family with a curated feed called Super Funday, telecast every Sunday on Star Gold. This contributed a growth of 41 per cent in viewership amongst kids versus last year. The feed is also simulcast on kids’ channel Hungama, which is part of the Disney India channel bouquet, thus making use of synergies that the Star India–Disney merger in India has made available to both companies. While the channel is niche, it has helped grow the Vivo IPL’s visibility among kids further. The tournament also saw a significant increase in female viewership in the first week at 27 per cent, while the core sports audience of males registered a growth of 24 per cent. The IPL has attracted more female viewers than the average televised sporting event in the country, with female audiences accounting for more than 40 per cent share in viewership of the tournament in recent years. The IPL is being telecast across multiple channels this year, including Asianet Plus, Star Suvarna, Star Suvarna HD, Jalsha Movies, Jalsha Movies HD, Star Maa Movies, Star Maa Movies HD, Star Gold, Star Gold HD, Star Pravah, Star Sports 1, Star Sports 1 Tamil, Star Sports 1 Kannada, Star Sports 1 Telugu, Star Sports 1 Bangla, Star Sports 2(v), Star Sports 1 Hindi, Star Sports 1 HD Hindi, Star Sports 1 HD, Star Sports 2 HD(v), Star Sports Select 1 SD, Star Sports Select 1 HD, Star Vijay Super, and Hungama.